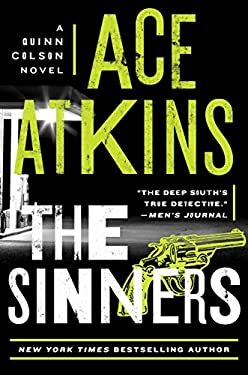 In the new novel from New York Times -bestselling crime master Ace Atkins, violence comes in many forms...and this time it may be more than Quinn Colson can handle. The Pritchards had never been worth a damn--an evil, greedy family who made their living dealing drugs and committing mayhem. Years ago, Colson's late uncle had put the clan's patriarch in prison, but now he's getting out, with revenge, power, and family business on his mind. To make matters worse, a shady trucking firm with possible ties to the Gulf Coast syndicate has moved into Tibbehah, and they have their own methods of intimidation. With his longtime deputy Lillie Virgil now working up in Memphis, Quinn Colson finds himself having to fall back on some brand-new deputies to help him out, but with Old West-style violence breaking out, and his own wedding on the horizon, this is without a doubt Colson's most trying time as sheriff. Cracks are opening up all over the county, and shadowy figures are crawling out through them--and they're all heading directly for him. New (236 available) BRAND NEW. Over 1.5 million happy customers. 100% money-back guarantee. Make your purchase count: support Better World Books' worldwide literacy partners.